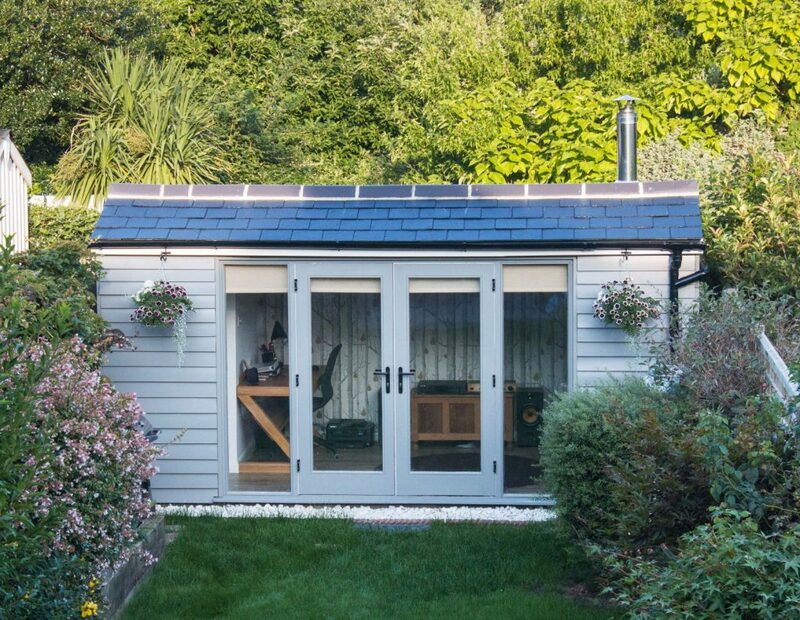 Having explored several options for his newly designed outdoor office space, Mr Clarke looked at the benefits of wooden windows and doors. He decided that solid timber doors would be the most practical and affordable solution. Mr Clarke wanted to allow maximum light into the space and create a warm, draft free environment. 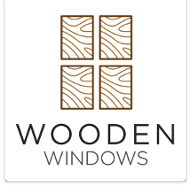 So, with the help of the team at Wooden Windows, he started to design a pair of French doors with large double-glazed panels and full-length sidelight windows. These were to be made in pine (redwood) with a 70mm cill and be primed ready for painting on site. 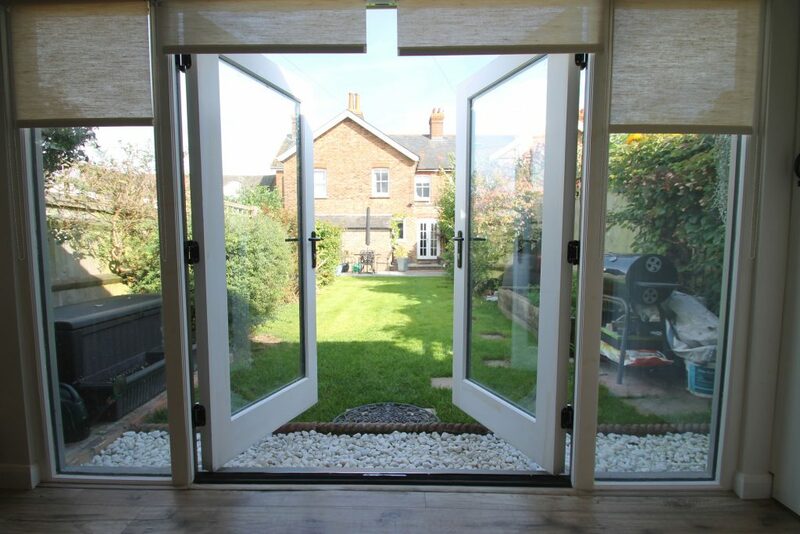 The windows and doors were made in the workshop to the exact measurements supplied by the builder, before being delivered to site with matt black furniture and made-to-measure double glazed units. Both the windows and doors were then painted in light grey on the outside to match the exterior, and a bright white on the inside. Once complete, the builder fitted everything into place. The overall appearance of this outdoor space is truly enviable – both in its design and practicality. Having used the space for over 12 months now, Mr Clarke is very pleased with the result and enjoys spending time working there.